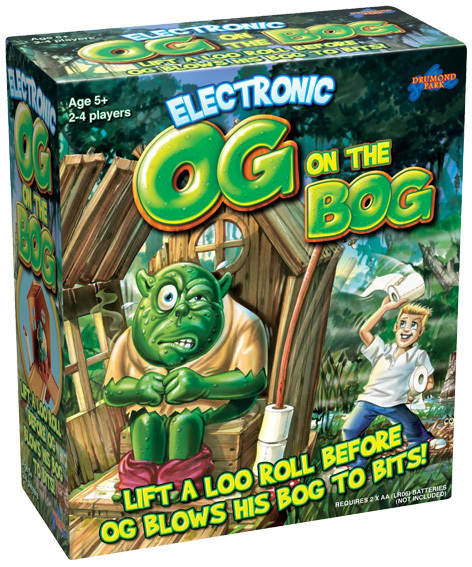 Appealing to a child's basic sense of humour, Drumond Park’s shamelessly outrageous Og on the Bog game may not appeal to all mums and dads! The players are a group of adventurous children setting out with one aim in mind; to steal Og’s loo rolls and leave him in a right pickle. As they lurk around the bog, they take a turn on the spinner to see whether they can sneak a loo roll off its pole. But if they falter with unsteady hands, they’ll likely disturb Og who’ll fart loudly – and yes, we mean loudly - and scare them away! 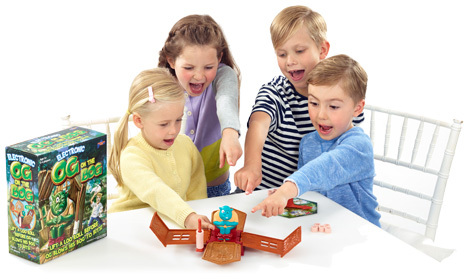 It’s uproarious fun! 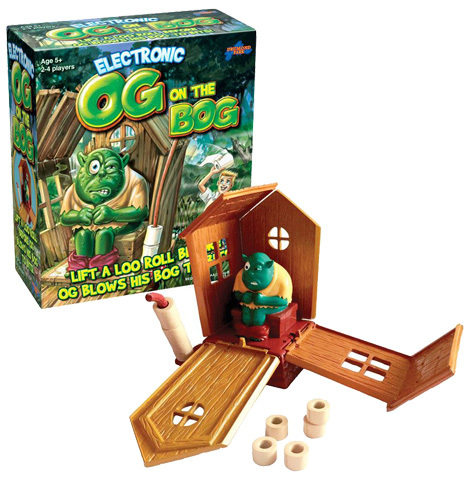 As play proceeds, the anticipation and excitement build - and the hilarity ramps up to new levels as Og’s showstopper comes ever closer … because if Og does a truly humungous, explosive fart, he blows his Bog apart! Please tell us what you think of Og on the Bog by Drumond Park.